Lippert Wealth Management, a service of D.A. Davidson & Co.
From left to right: Bev Coop, Client Associate; Chad Lippert, CFP®, CWS® Senior Vice President, Financial Advisor; and Linda Buckman, Cashier, Receptionist. Welcome to our website. Thank you for taking the time to get to know us a little better. The achievement of financial objectives depends on a disciplined, integrated approach to managing each of the many facets of one's financial life. 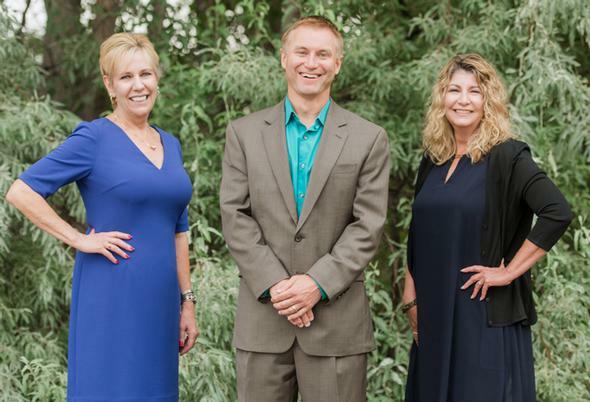 Lippert Wealth Management believes a client's investments, cash flow, insurance, debt, long-term financial retirement and estate plans should all align in a carefully constructed wealth management plan. Lippert Wealth Management knows the importance of having strategic partners to accomplish clients' comprehensive wealth plans. Through D.A. Davidson & Co., we partner with other professionals in wealth planning, retirement planning, investment management, estate planning and more. Please explore our website to learn more about our team and how we can help you and your family.